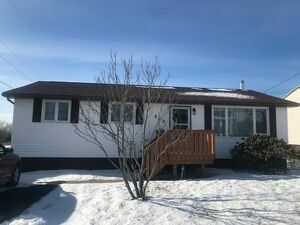 403 Caldwell Road, Cole Harbour (MLS® 201907300): Check out this charming bungalow with finished basement located in the popular Colby area! 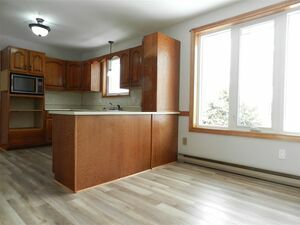 This impressive 30 year young home is of a solid tongue and groove construction and offers many upgrades including brand new flooring, light fixtures and painting throughout! 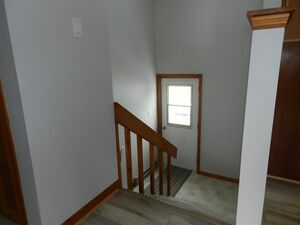 Also within the last 4 years, windows have all been replaced, new front doors, new roof, new water heater, new decks and 2 mini splits have been installed! 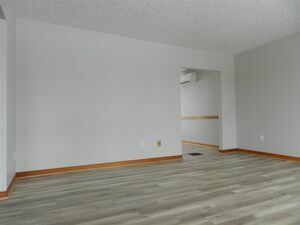 You’ll enter the front door into a generous entrance way that leads to a large living room which is open to a bright, spacious dining area. 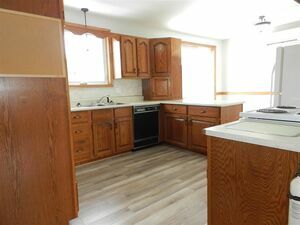 The kitchen has plenty of storage & counter space for food prep and includes the fridge, stove and dishwasher. 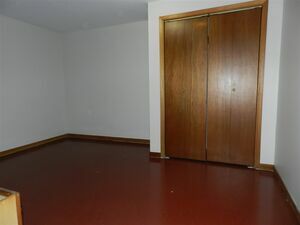 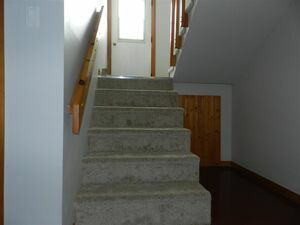 Down the hall you’ll find 3 good size bedrooms and a roomy 4pc bathroom, all with beautiful solid wood doors. 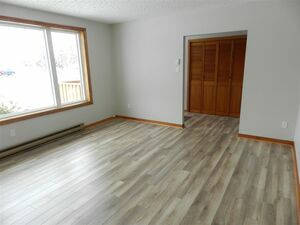 The back of the house is a split entry style design that brings you down to a clean finished basement with plenty of natural light. 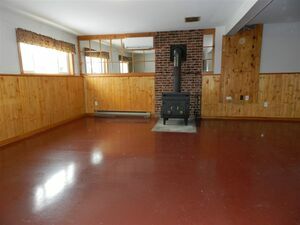 The rec-room includes an inviting wood-stove that’s complete with stainless chimney and blower keeping you nice and warm all year long. 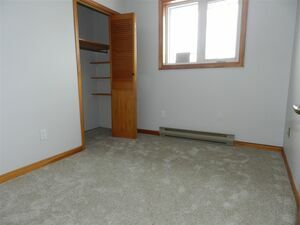 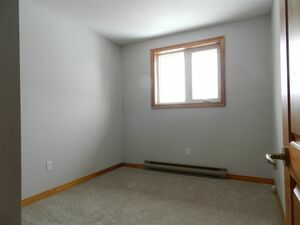 There’s another room that was being used as a forth bedroom but can be used for an office, workout room or whatever you prefer! 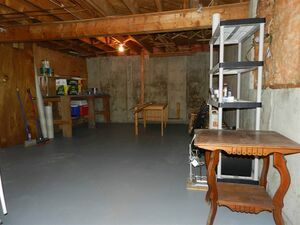 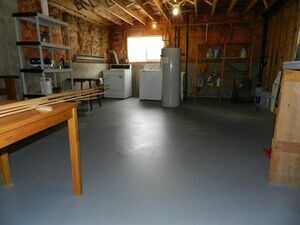 You will also appreciate the extra-large utility room with roughed-in bath --lots of space for your workshop and laundry needs! 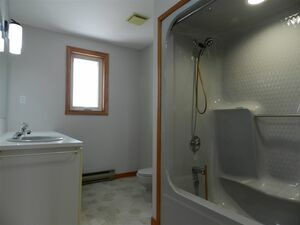 Washer & dryer also included. 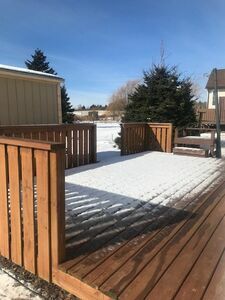 The backdoor takes you out to a well-constructed 3 yr old 24’ x 13’ deck –perfect for entertaining or sitting to watch the many types of wildlife in the area. 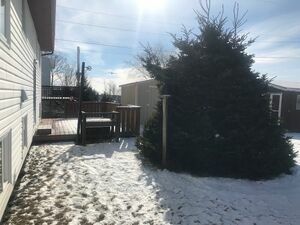 The yard is nicely landscaped and also includes an 8’ x 8’ shed that’s less than a year old, as well as a 16’ x 20’ shed --great for storing all of your yard tools! 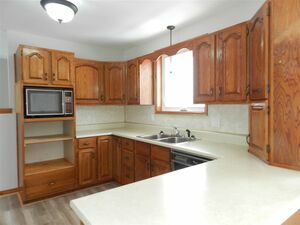 This is definitely not going to last long at this price point! 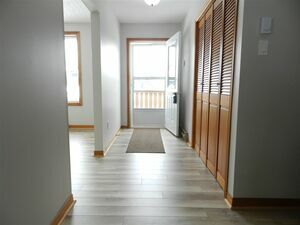 A great location close to all schools, shopping, Morris Lake, Shearwater and offers bus service to the French School. 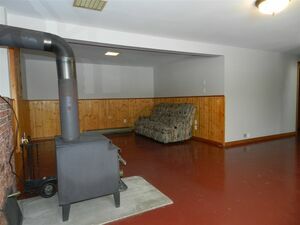 This truly is a special property. 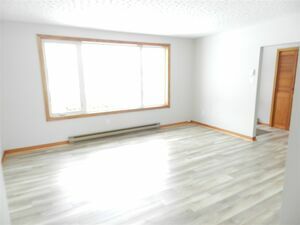 Call to book your viewing today!